The Marist student body generally tries to avoid the cold weather, especially at this time of year. However there is one thing that will cause a mass exodus of students from their warm dorm rooms out into the cold. The dinner rush in the dining hall. On any given night, starting around 5 p.m. there will be a spike in the population of the Marist dining hall, and tonight is no exception. Monday night’s dinner specials include fiesta lime chicken fajitas, pizza and classic chicken noodle soup, perfect for fighting off the biting cold. 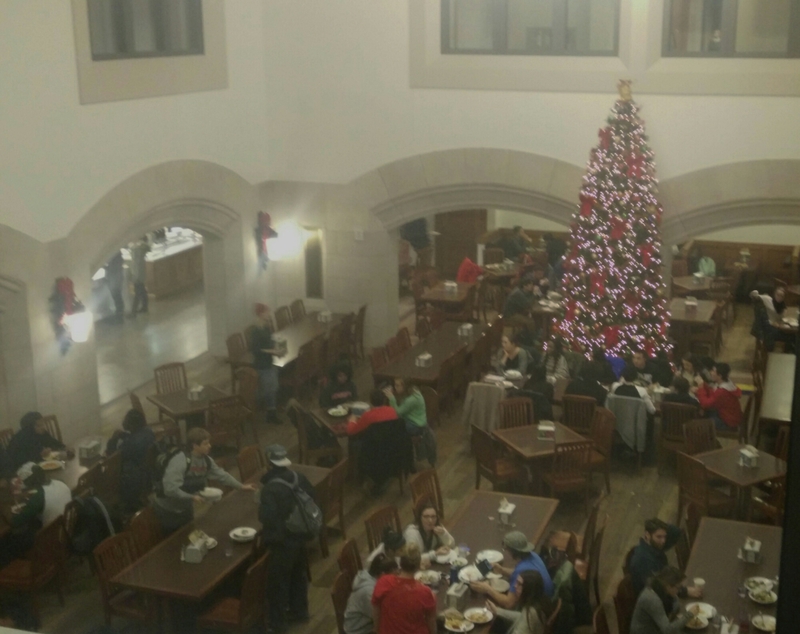 The dining hall is an essential part of the Marist campus life, and never has that been more prevalent than right now, in the cold weather during crunch time for students.